being little • bristol uk fashion & lifestyle blog. 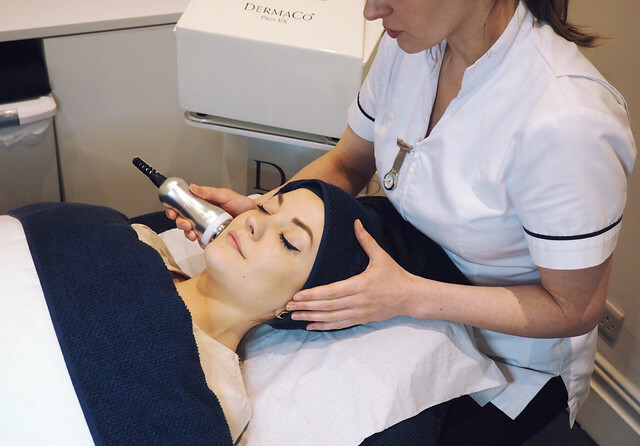 : my experience with the microdermabrasion facial and 20% off your first treatment! My skin is much better these days blemish-wise - I get the occasional spot if I'm hormonal, poorly, or have been eating badly! But other than that, I can't trust time to just cure my problem areas. 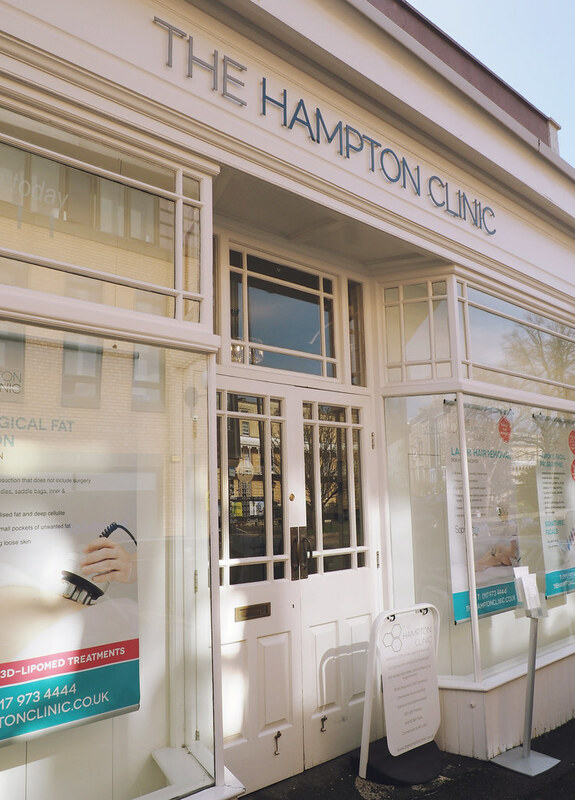 I was invited up to The Hampton Clinic for a consultation and a facial to suit my skin. The lovely Kamila made me feel so relaxed - even taking off my make up was a joy! She had a look at my skin and could see that it was sensitive, and needed some oil control. We discussed what I felt were my problems, and how we could try to fix them. While I was there, we also had a look at how sun damaged my skin was, using the UV light box. I've done this before, and yet I still don't use sun protection everyday. Seeing it a couple of years later and have Kamila tell me that this is one of the best ways to prevent ageing (as well as nastier things) really drilled it into me that it's something that we all need to be doing, especially if you're as pale as me. Many foundations have SPF 10-15, but it's best to go for something 30+. 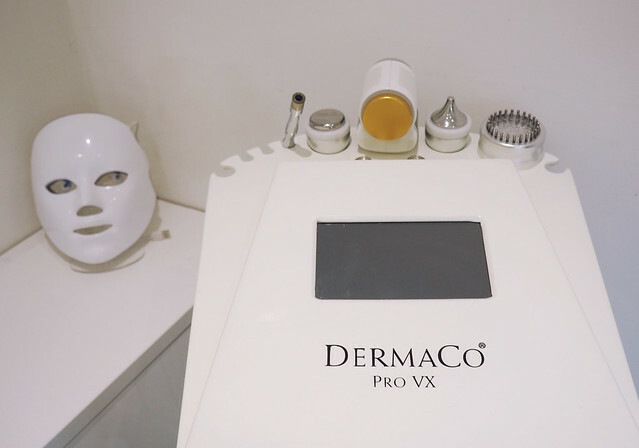 After learning all about the dangers of the sun, I was laid back on the bed for my Dermaco microdermabrasion facial - which sounds slightly scary, but isn't at all! It works by pulling very slightly at your skin with a gentle vacuum suction bringing it to the fine abrasive diamond head, which provides intense hydration, medical-grade exfoliation, and targeted collagen stimulation. I was worried that it would hurt, but Kamila tested it on my hand first and all I could feel was a very slight pulling, and it didn't hurt on my face either. 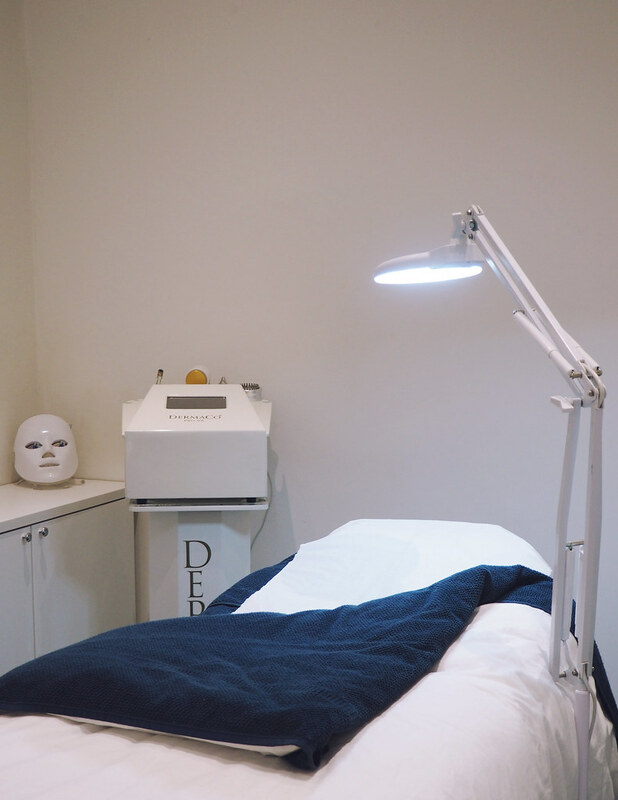 The facial also included some LED light treatment, cryotherapy and ultrasound, and I felt incredibly relaxed after all that pampering! My skin felt really soft and revitalised, and I didn't even feel self conscious walking home with no make up on. Since then my skin did break out slightly - maybe because of new products or hormones, not sure! - but since then it's been really good, especially as I've been paying it more attention, and spending more time cleansing and looking after it. I was given a suggestion of a course of Vitamin C Peels to follow the facial, to rebuild my skin and balance my oil production, and I'm definitely going to look into that more to try to continue to love the skin I'm in. They also suggested lots of products I can use at home, including a cleanser containing salicylic acid which helps with oil, congestion and open pores, vitamin C serum, and of course, SPF! 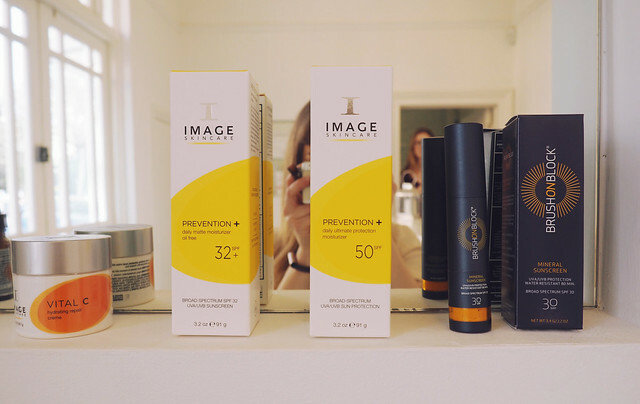 I have a few similar products to use first, and then I will definitely be back to buy those, as they stock them all in the clinic! 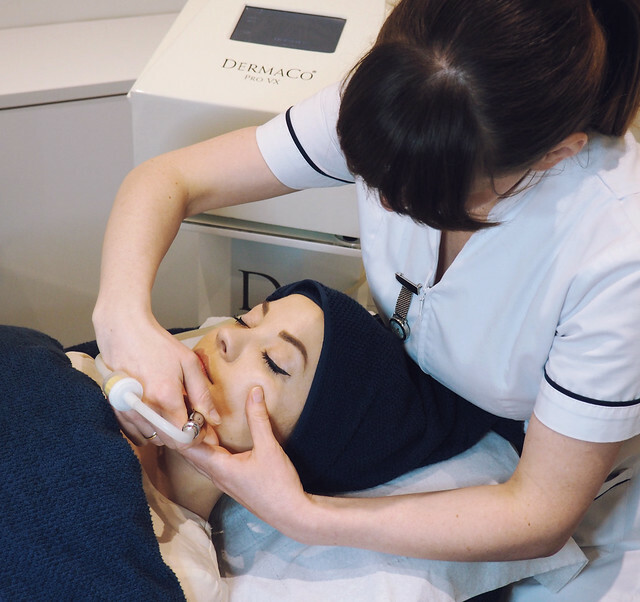 This facial normally costs £80, however during March all bespoke facials are only £48 - not sure if you can get one before the month is out, but it's definitely worth a try! 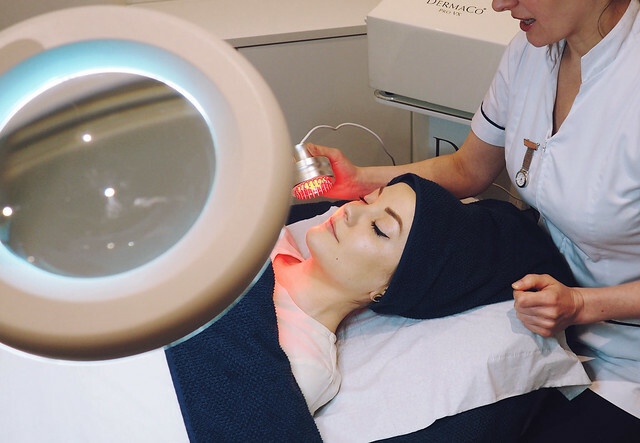 They also offer a wide range of beauty treatments including "virtually pain-free" laser hair removal, non-invasive 3D lipomed, anti-wrinkle injectables, semi-permanent make up, and nutritional therapy. If you miss that March deal, don't worry! You can get 20% off your first treatment at The Hampton Clinic by mentioning "BEING LITTLE" when you book by phone or email! Please note, this cannot be used in conjunction with any other offers, and cannot be used on semi-permanent make up, anti-wrinkle injectables, or nutritional therapy!